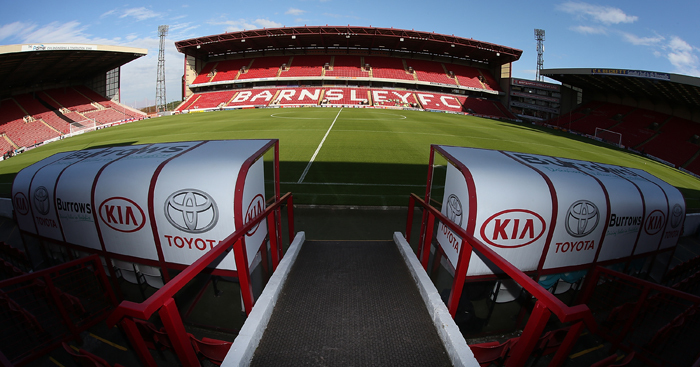 Barnsley midfielder Sam Morsy is back in contention for Friday night’s home game against Nottingham Forest. Morsy missed last week’s goalless draw against parent club Wigan and head coach Paul Heckingbottom must decide whether to recall him or stick with Josh Scowen. Heckingbottom has no new injury or suspension problems as his side bid to extend their unbeaten league run to five matches following two straight goalless draws. Wingers Adam Hammill and Saidy Janko and striker Tom Bradshaw are all pushing for recalls, but defender Aidy White (glute) is working his way back after surgery. Forest’s injury problems seem never-ending, with the unfortunate Chris Cohen set for another spell on the sidelines. The Reds skipper has battled back from three serious knee injuries in the past five years and faces another three months out with a thigh problem. Daniel Pinillos is also back in the treatment room. The Spanish defender has only recently made his comeback from 11 months out with a knee injury but has suffered a setback and is consulting a surgeon. Britt Assombalonga (hamstring) and Eric Lichaj (calf) are doubts while Armand Traore (knee) remains sidelined and Hildeberto Pereira is suspended.